Looking west along Kings Road, from near West Street, in 1909, when the roadway was being completely resurfaced. Note the paved cab-rank adjoining the protective iron railings the last of which were removed in June 1926. 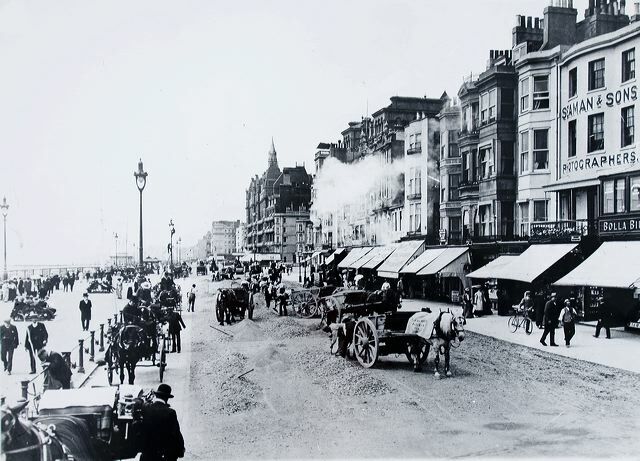 The Promenade was as wide then as it is today.